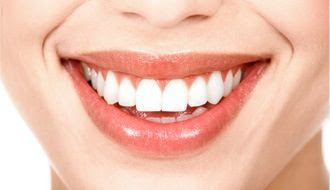 Guest Post written by Melanie Decker of Top Dentist and Everyday Health. The Mediterranean diet has been shown to be heart healthy and a waistline slimmer. What most people don’t know is that many of the key components of the Mediterranean diet benefit your oral health as well. Those with good oral health decrease their risk of developing harmful gum diseases like periodontal disease, which has been linked to heart disease and stroke. So with the Mediterranean diet you’re basically killing two birds with one stone! 1. Fish and seafood, especially salmon, containing vitamin D that helps your body absorb calcium. Besides fish, egg yolks also include vitamin D.
2. Olive Oil is a great source of vitamin A, iron and calcium. Some of you may have not known that! Vitamin A helps maintain healthy teeth and also serves as an antioxidant while calcium helps build strong teeth to help maintain the tooth enamel. Iron helps your body produce hemoglobin to transport oxygen throughout the body and aid in tissue repair, including mouth sores. 3. Nuts, specifically Brazil nuts and almonds are great sources of calcium. Calcium, like mentioned above, helps promote strong teeth, and it also is the component that holds teeth and bones together to maintain sturdiness. Cheese and yogurt are also calcium-rich foods in the Mediterranean diet. 4. Fruits and vegetables like green bell peppers, tomatoes and oranges contain vitamin C to help prevent inflammation as well as fight off cancers. Vitamin C is especially shown to reduce your risk of oral cancers. The Mediterranean diet is a wonderful healthy lifestyle that still incorporates flavorful foods without limiting too much, like other popular diets. Heart and mouth healthy, the Mediterranean diet is the way to go! Thursday: Pizza out for family. The Mediterranean diet has been shown to be heart healthy and a waistline slimmer. What most people don’t know is that many of the key components of the Mediterranean diet benefit your oral health as well.